The town last week received an application to build a new 4,688-square-foot home on Briscoe Road. 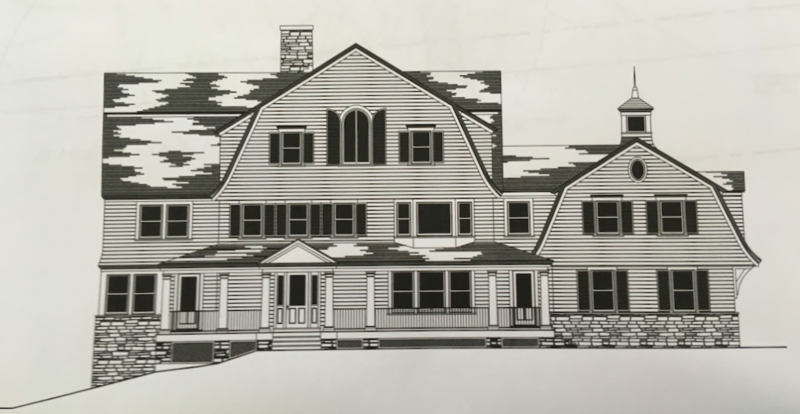 The new five-bedroom home planned for 287 Briscoe Road will include three full bathrooms and a half-bath, as well as a kitchen, powder room, dining room, family room, den, mudroom and three-car garage, according to a building permit application filed Nov. 28. It will cost about $800,000 to build, according to the application. New Canaan-based Lanni Homes is the contractor on the job, it said. The architect is Bronxville, N.Y.-based Louis Campana Architects. The property had sold in May for $740,000, tax records show. The town on Oct. 26 issued a demolition permit for the 1,964-square-foot split-level house on the two-acre lot (in the four-acre zone).